Curiosity got the best of me. For the past few weeks, neighborhood kids by the dozens, maybe hundreds, are heading outdoors, riding their bikes, meeting friends for a walk. Eagerly walking their dogs without provocation. What is the cause of this activity, this wellness revolution? "Why do you think your teachers should play Pokemon Go?" My son, Trevor, 16, said, "Pokemon Go helps people learn about geography, relative location, distance, and global positioning." My stepson, Billy, also 16, said, "This game can help teachers understand what augmented reality (AR) is. Teachers who want to gamify their classes have a good example to learn from." Jamie, 14, was holding her iPhone while roller blading with several friends through the neighborhood park. She said, "Pokemon Go gets kids out of the house. It gives teachers something they can talk about with their students." She's right. Every evening, several families can be seen walking down our street, their phones poised to capture a prized Snorlax or Mewtwo. Recent news reports indicate the number of daily Pokemon Go users exceeding 21 million players. For reference, that's more daily users than Twitter, Minecraft, or Netflix. Last week, a few thousand people converged at "the Bean" on Chicago's lakefront as part of a Pokemon meet up. In addition to the obvious competitive fun, collaboration, and teamwork is integral to this gaming experience. Teachers and parents should play Pokemon Go so they can promote safe practices and guide moderation. The potential hazards of walking, riding, or driving while looking at your phone are easily understood. I'm spending quality time with my kids as they teach me rules and strategies to become a better player. 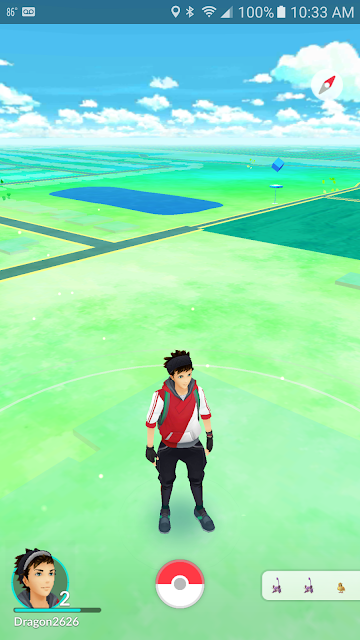 Like other forms of social gaming and social media, Pokemon Go provides a way for teachers and students to interact, build relationships, and engage in relevant learning experiences. Well said Robert! I love how you went right to the players and asked them what they thought. I also LOVE that your stepson knew what gamification was!!! Your reflection and suggestions are thoughtful and right on. I stumbled onto your #XPLAP Twitter chat - looks fun and interesting. The boys and I discussed GBL and gamification principles. So yes, I am glad the concepts transferred to our Pokemon Go conversation. Kids continually impress me with what they understand when the context fits their interests. Thanks for reading and for contributing with your comment - much appreciated!